https://atlanta.bintheredumpthatusa.com/dumpster-rental-brookhaven	Bin There Dump That Atlanta	https://atlanta.bintheredumpthatusa.com/img/franchisees/6.jpg	, Atlanta, GA	Contact us for more details. Discover how we make renting a dumpster in Brookhaven, GA a simple and easy process. 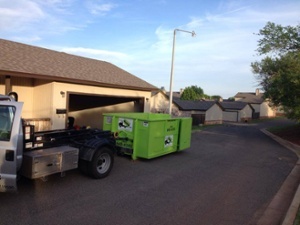 Bin There Dump That is committed to making the dumpster rental process for the customer a seamless transaction, from placing an order for the needed dumpster size to delivery of the waste container in Brookhaven to an immediate pick up when you no longer need the bin on your driveway. Located in the northeastern suburbs of Atlanta, Brookhaven is the 11th city in DeKalb County and is home to more than 54,000 people; making it the largest ciyt in Dekalb County. It officially became a city on December 17, 2012. The first European settler, John Evins, arrived in 1810 and started a plantation. Solomon and Harris Goodwin, moved to Georgia from South Carolina and became owners of the land in the 1830s. The Goodwin Home and the family graveyard have been preserved near Dresden Drive at the 3900 block of Peachtree Road. In 1900, Atlanta residents began constructing cottages around the community. By 1912, the North side of Peachtree Road was developed into communities and a nine-hole golf course which would be expanded in 1915 to eighteen holes. There’s plenty to do on a sunny summer day in Brookhaven. The city has 11 parks located throughout. Ashford Park has tennis courts and multiple playgrounds. Blackburn Park also includes a tennis center, softball fields, picnic areas, large pavilions to host parties and hiking trails. Briarwood Park offers a community swimming pool, tennis court, a rec center, playgrounds and walking trails. Brookhaven Park has open lawn areas to host outdoor events and walking trails. Clack’s Corner is a small 0.2 acre area and Georgian Hills Park is a 7 acre park located on Georgian Drive. Lynwood Park has a rec center, swimming pool, outdoor basketball and tennis courts, a playground, multiple covered pavilions and a multi purpose field. Murphey Candler Park is located on Nancy Creek Drive. This park is 135 acres and features youth baseball, softball, and football leagues. It has a 2 mile nature trail, pavilions, a pool, and a lake. Parkside Drive is a small 2 acre area on Dresden Drive. On Skyland Drive, the 11 acres of Skyland Park offer open use lawn areas, pavilions, and a dog park. Currently, there are plans for construction of a multi-use trail, known as Peachtree Creek Greenway. The goal is to provide Brookhaven residents with close access to bicycle and pedestrian trails and to serve transportation and recreational needs. They also hope the trail will help encourage quality of life and economic growth. In addition, in July 2017, the City Council approved a new sidewalk and bike ordinance. Brookhaven can be accessed from Ashford Dunwoody Road, I-285, Peachtree Road, North Druid Hills Road, and I-85. The only zip code associated with Brookhaven is 30319, which is a part of the Bin There Dump That service area! The city does require a permit to place a dumpster on the street. Your local Dumpster Rental Experts Brookhaven dumpster rental operator is Kurt Anderson.